I love handmade ornaments. I would cover my whole Christmas tree in pipe cleaner candy canes and popsicle stick snowflakes if I could! 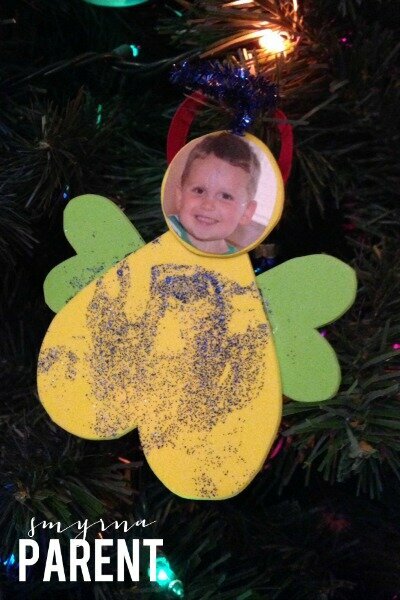 Nothing is quite as sweet as child’s handmade decoration. Here’s an ornament you can make this holiday season. This craft is best suited for elementary aged children because of the scissor and glue work. Enjoy! Using the template provided here, trace the shapes onto the craft foam (the easiest way to do this is by cutting out the shapes, laying them onto the craft foam, and tracing around them with a pen). Trace the large heart and small circle on one color of foam (this will be the body of the angel). 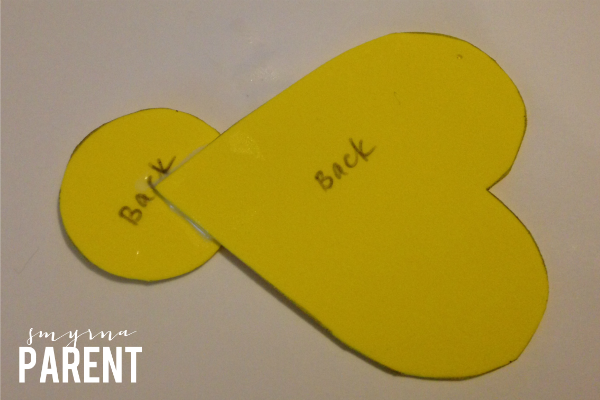 Trace the two smaller hearts onto the other color of craft foam (these will be the wings). Cut out the foam shapes and set aside. 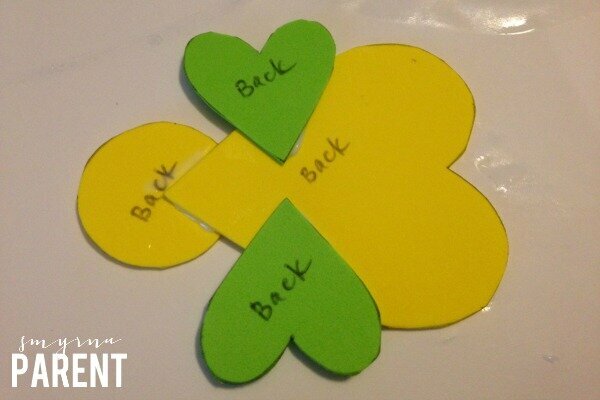 Make the angel’s body by gluing the large heart and small circle together as shown in the photo below. 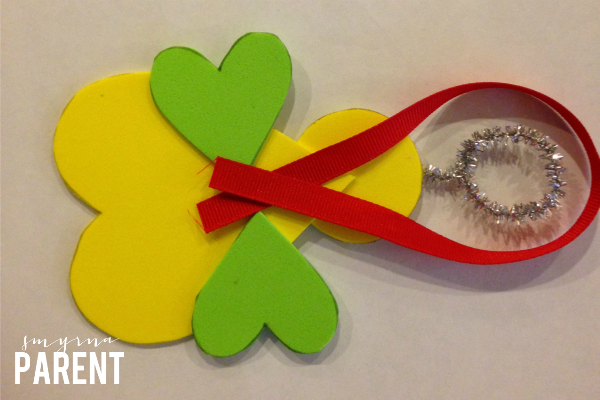 Next, attach the angel’s wings by gluing the small hearts onto the body as shown in the photo below. Take 1/2 of a pipe cleaner (about 5″) and form a small circle at one end with a twist. This is your angel’s halo and should be about the size of a quarter. 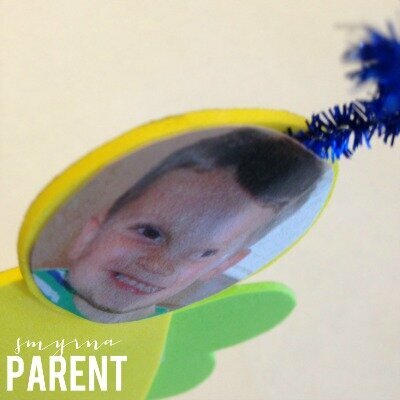 Using glue, sandwich the halo’s stem between your photo and the circular foam piece. This part is a little tricky and it may be helpful to gently crease your photo down the middle to make room for the pipe cleaner. 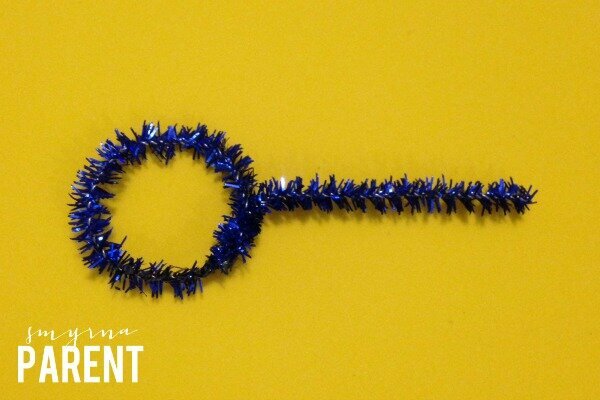 If your photo or pipe cleaner does not cooperate for whatever reason, skip this step. Your ornament will be just as cute without a halo! Once everything is fully dry, take a 6″ piece of ribbon and form a loop. 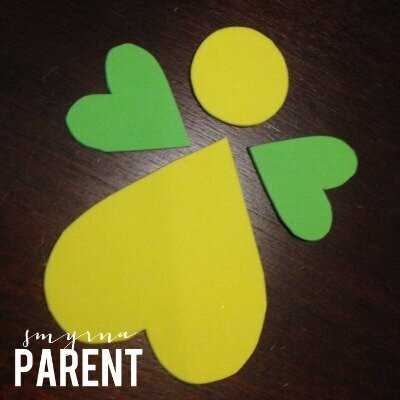 Glue the loop to the back of your angel as shown in the photo below. Let dry and then hang on your tree! Feel free to decorate with glitter, stickers, markers, or more glitter! Jennifer Potter is a Smyrna-based artist who deeply believes art empowers and enriches the child in all of us. You can follow her work at facebook.com/thiswingedheart.